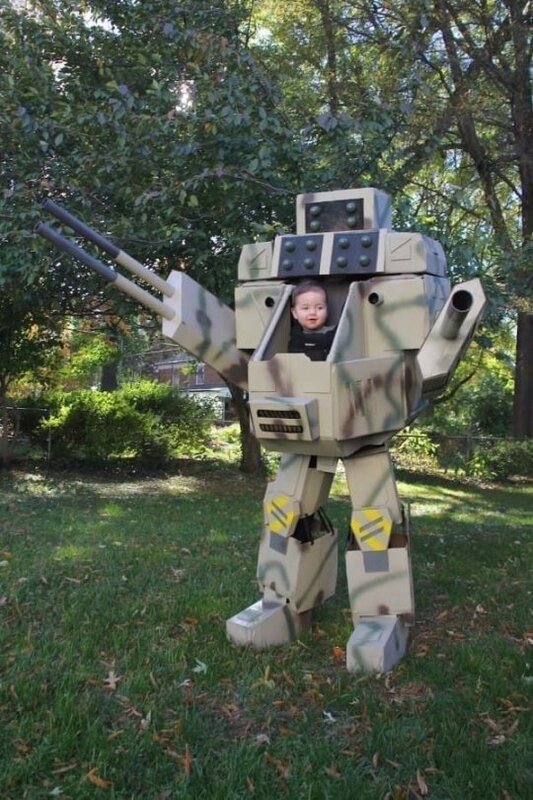 This Dad creates a costume his son can wear with him. 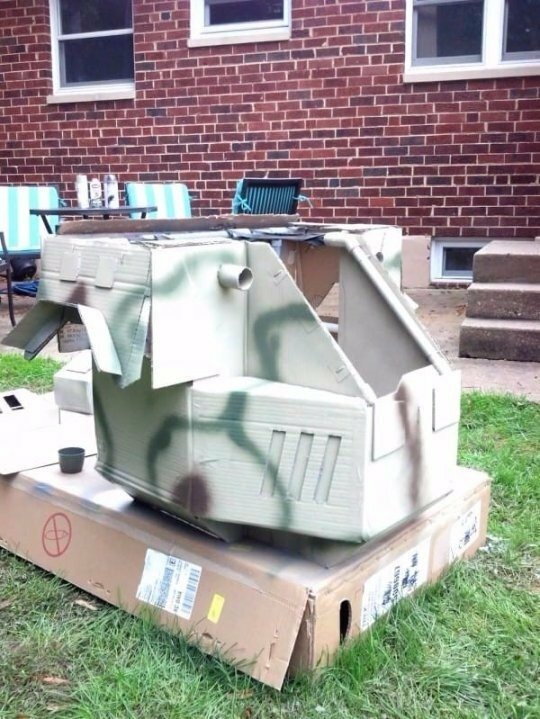 He wins Halloween's most creative Dad award this year. During Halloween some people buy brand new shiny costumes while others make their own. 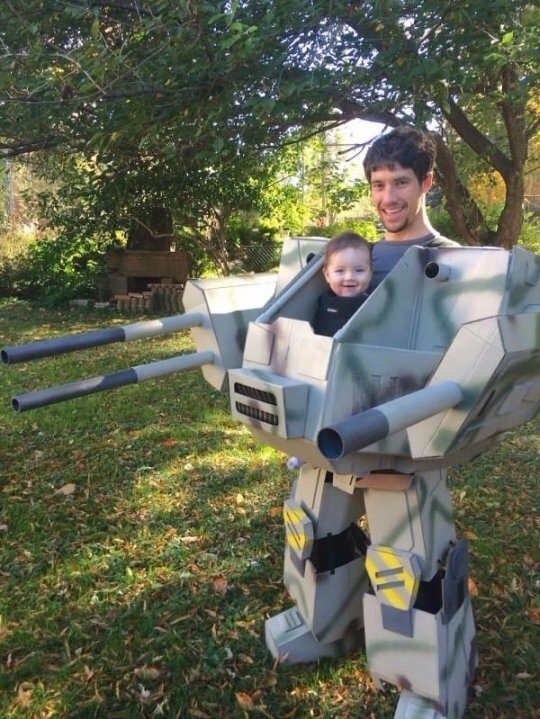 This Dad wanted to make a costume he could wear with his son so he got his creative juices flowing. 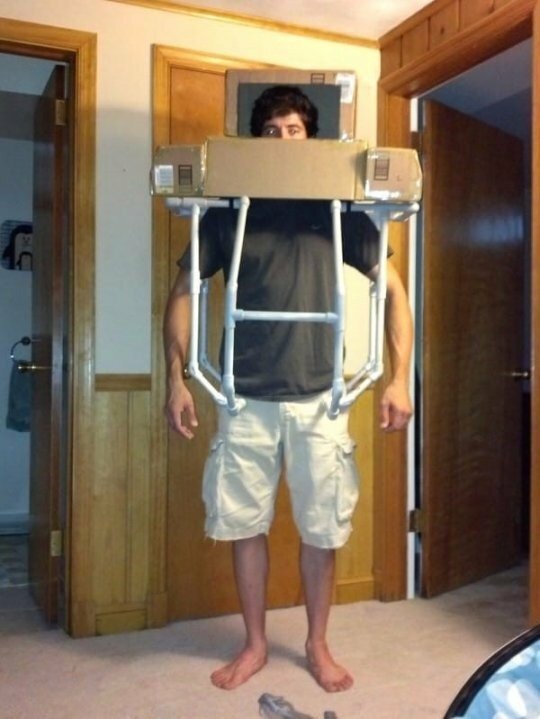 Ryan started creating this impressive costume using card board and pvc pipe. His wife Imgur user PutaBowOnIt shared the creative process from beginning to end. Ryan came up with the idea when he was inspired from a computer game he used to play. With a little spray paint the cardboard starts to transform into some sort of futuristic metal. 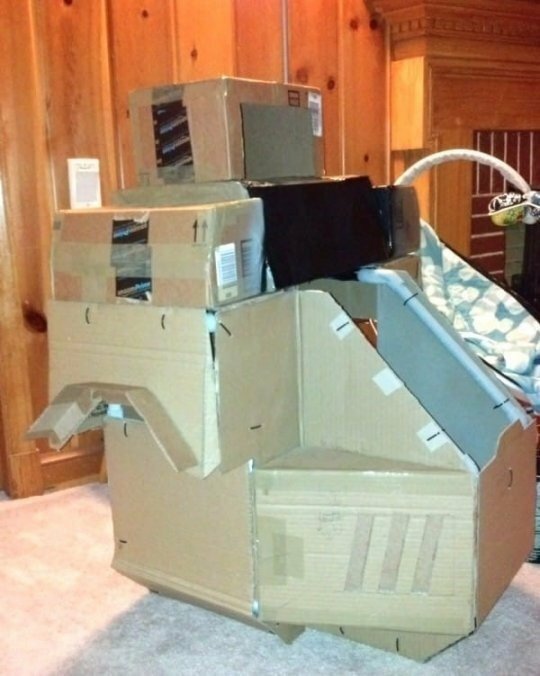 The cardboard boxes were courtesy of his son Geraint getting lots of baby stuff in the mail. Amazon and other baby stores provided the boxes needed. With the addition of Geraint and the top of the costume complete it looks like the baby is steering the machine as it moves around. 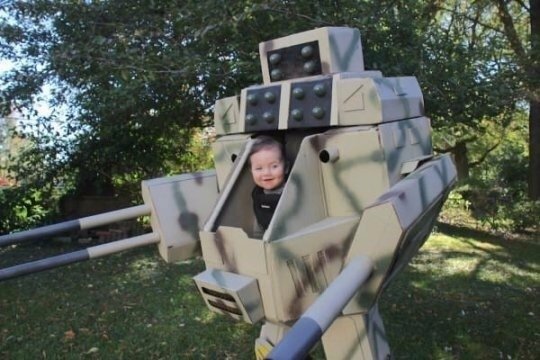 The top fits over Ryan's head and allows him to spend quality time with his son as they move around in the huge costume. The costume is truly remarkable with the spray pain and attention to detail. It gives a great image as it moves towards you. 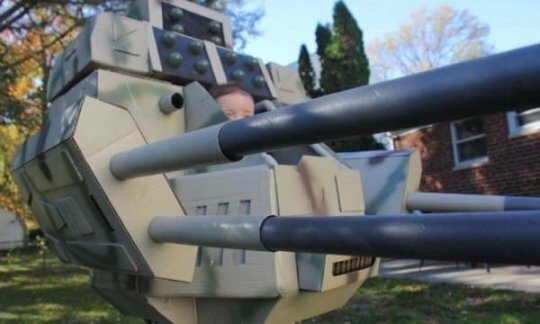 The feet fit over Ryan's shoes and his arms fit into the gun pods. The legs are supported by a hidden belt and the head is attached by Velcro. 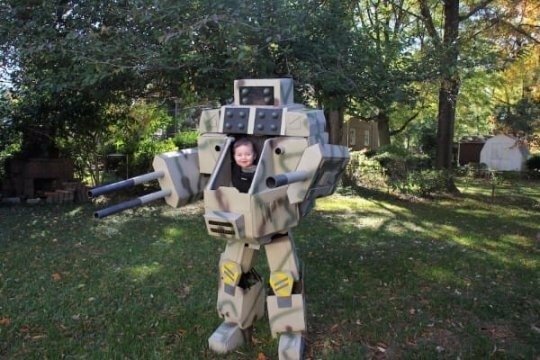 This is truly an amazing costume for father and son to wear together.